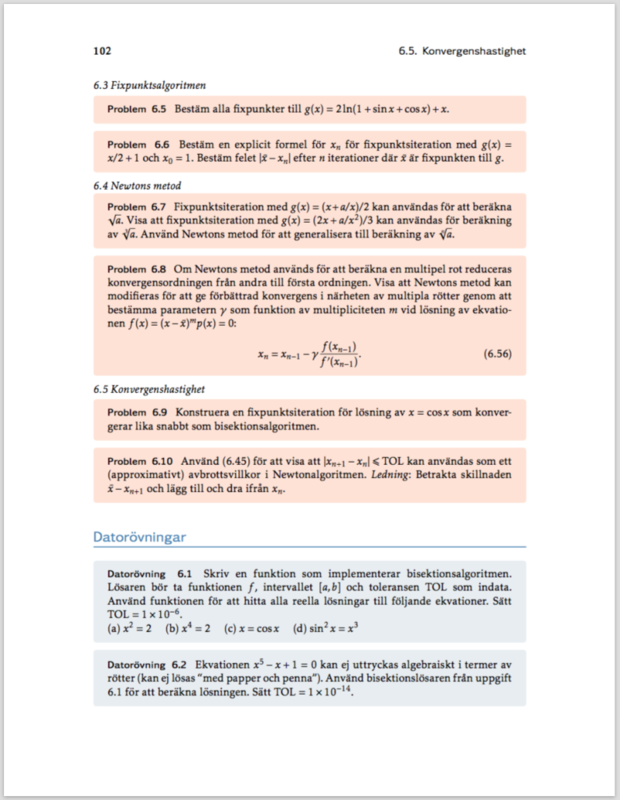 Together with my colleagues Stig Larsson and Axel Målqvist, I’ve been working lately on some new course material for the first year engineering students at Chalmers. 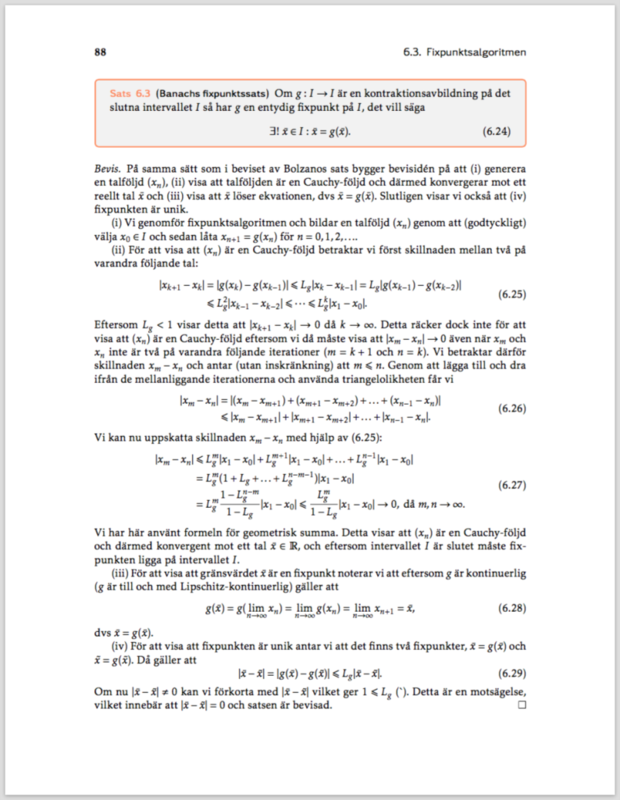 Our ambition is to write a book that will cover the full curriculum in analysis and linear algebra. This is a long-term project and we still have some 600 pages left to write… but our plan is to have the book ready by 2020. The first point is important. We want to give the students a book and say “read this, all of it, and do all the exercises”. 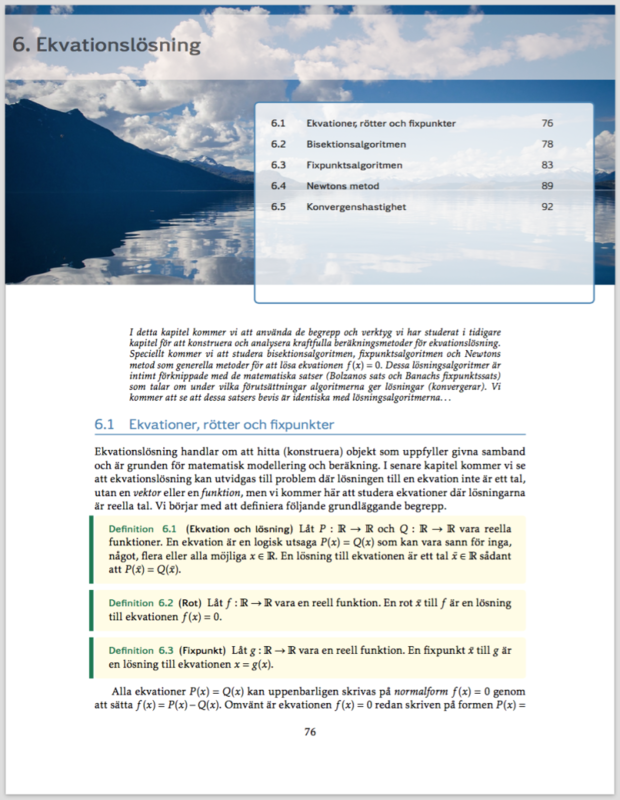 The book will (for now) be available only in Swedish. We’re targeting the first-year students at Chalmers, and perhaps at other Swedish universities. See below for a few sample pages. 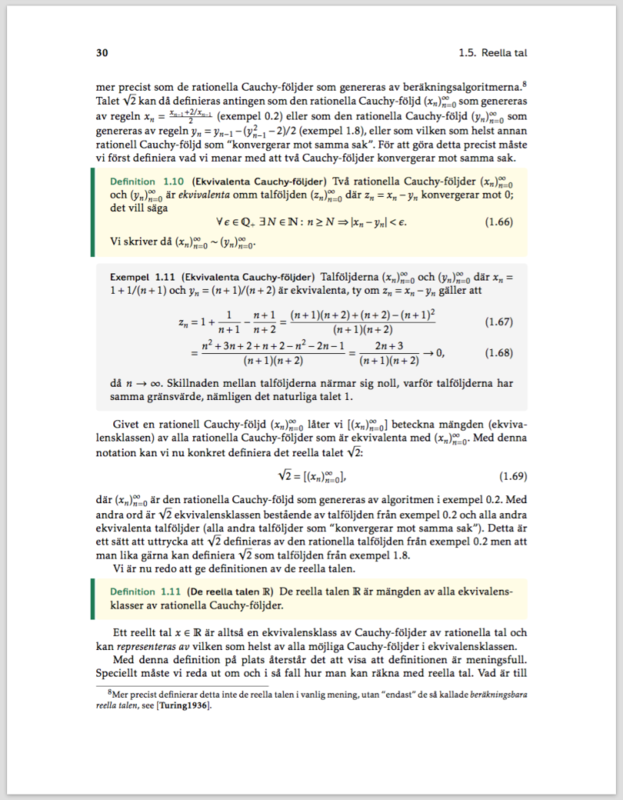 The book is typeset using this this nice LaTeX textbook template from Typesetters.